Navigate to the Inventory > Manage Inventory in the main menu. 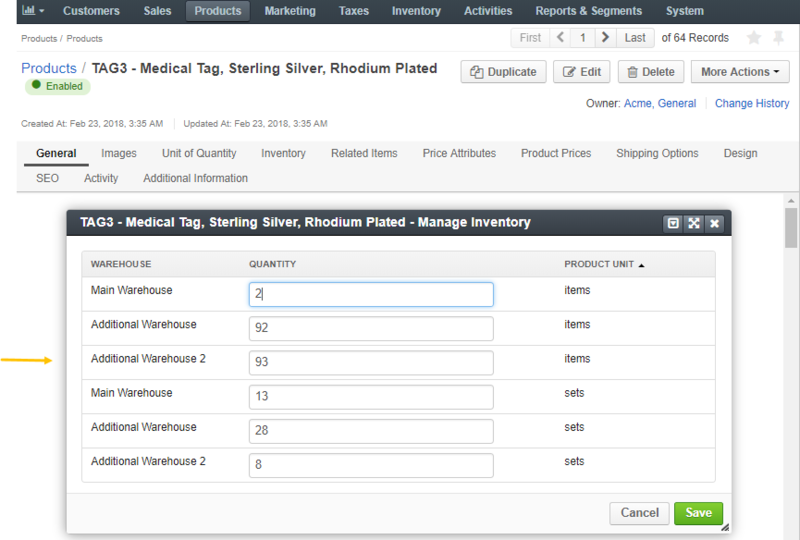 Filter the product inventory to limit the records to the subset you would like to update. Edit inventory status and quantity in the respective columns directly by clicking on the current value. Type in a new value and press Enter. Updated information is automatically saved. Click the product that you want to manage the inventory for. The product view page opens. Click More Actions on the top right and then click Manage Inventory. Update product quantities, if necessary.